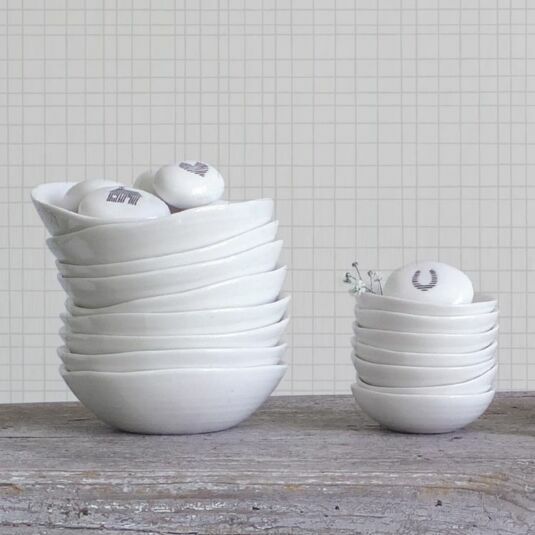 This ‘Sunshiny Day’ Small Wobbly Porcelain Bowl resembles the shape of a weather-worn pebble, rising high at one end of the rim and almost flat long the other. 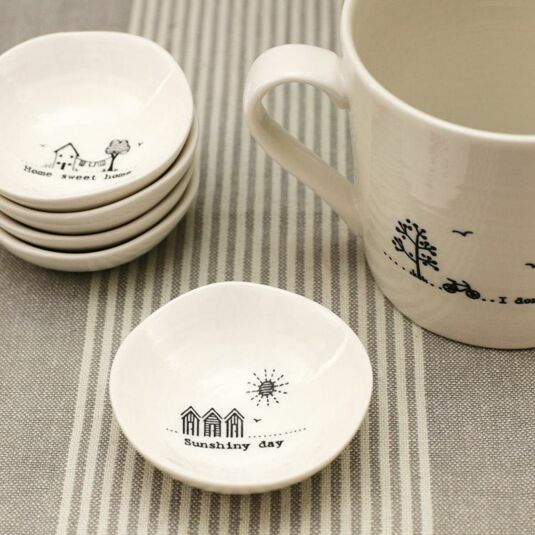 A ribbed effect is found inside the bowl itself, creating a stunning decorative effect when met with light as a beautiful, miniature black line drawn illustration of a trio of beach huts and beaming sun is etched into the centre. 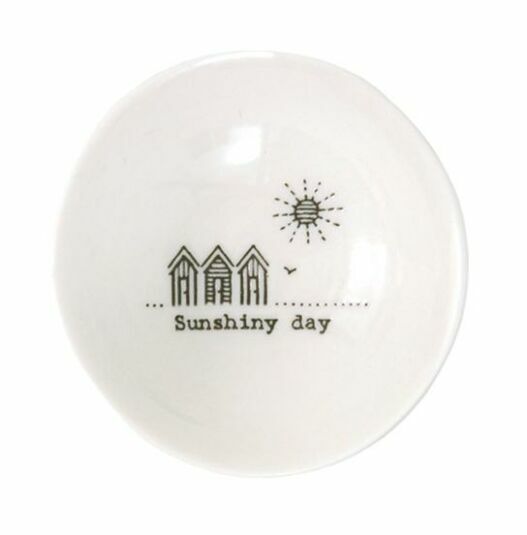 The words ‘Sunshiny Day’ are found running underneath this illustration. 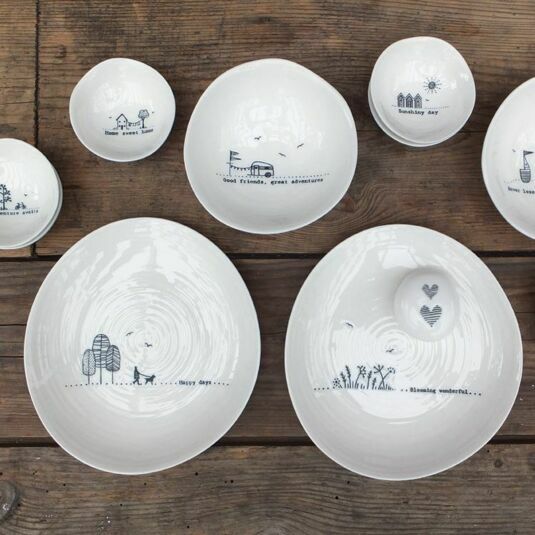 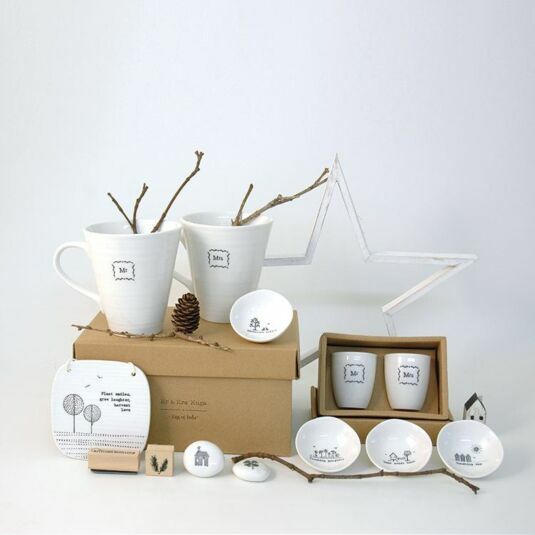 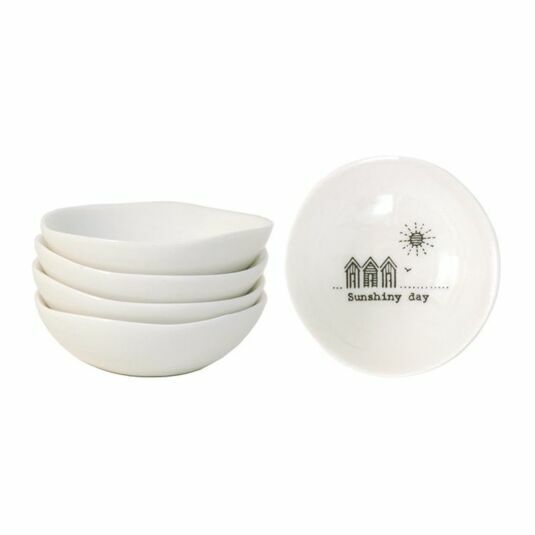 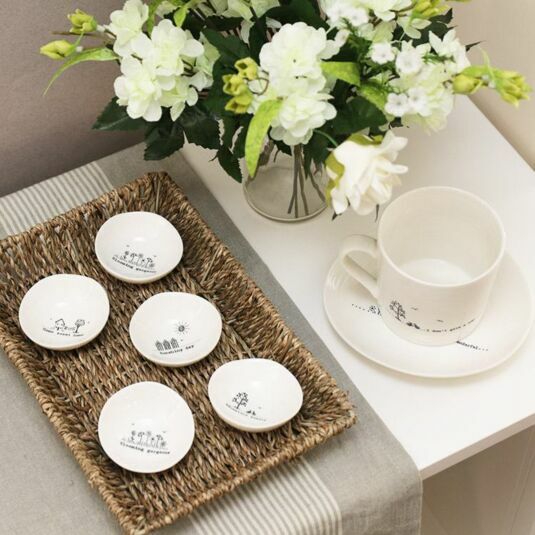 Add a token of love to the home in the form of this sentimental Small Wobbly Porcelain Bowl from East Of India, a touching gift for a family member, friend or holiday lover to show them love and appreciation of your bond at a birthday, Christmas or family occasion.